I get asked quite a bit about vegetarian and/or vegan options for dinners so here's one I can highly recommend as a one-dish meal that provides plenty of protein, carbs, and healthful fat as well as amazing flavor. This version comes from Deborah Madison's Vegetarian Cooking For Everyone, which anyone who frequents this little corner of the Intertubes knows is one of my heavily dog-eared cookbooks. This is one of the opportunities for me to incorporate from the jar of homemade preserved lemons that a good friend, who also happens to be one of my favorite home chefs, gave to us as a Christmas present last year. I also got to use some of the tomatoes from last summer's garden that my wife peeled and froze last fall. If using dried chickpeas, soak overnight, drain then cook in water to cover, simmering for an hour with a quartered onion, several whole black peppercorns, several parsley twigs, and a few crushed garlic cloves for flavoring the beans and the resulting broth. 1 cup dry should yield 3 cups cooked. (Make sure to not overcook the chickpeas with too much heat or for too long so that they get mushy - you just want them tender - a hour will usually be enough time to cook.) Drain saving the broth, and allow the chickpeas to cool. Parboil the chard for a few minutes until wilted. 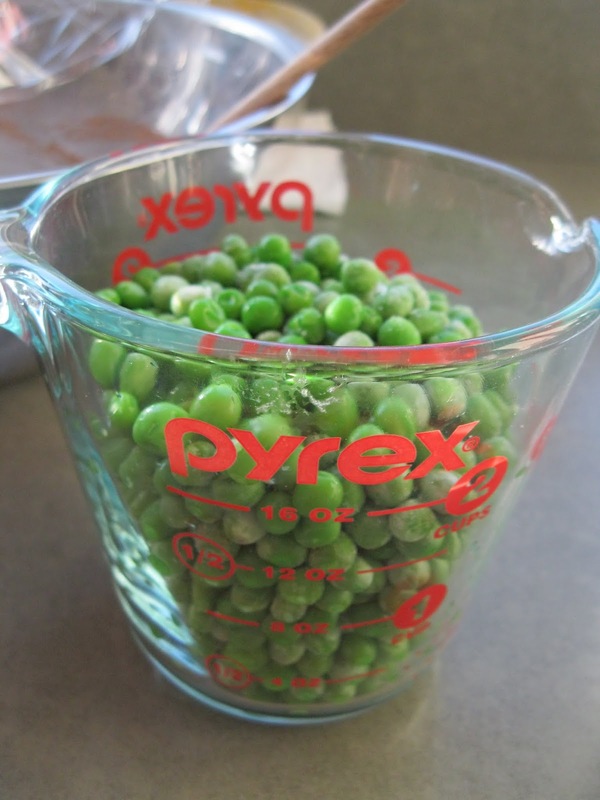 Remove from the water, placing it aside to cool then chop coarsely. Cover the chickpeas with cold water and gently rub them between your hands to loosen the skins then tip the bowl to allow the skins to flow out. Drain. Prepare the spice paste by pounding the garlic in a mortar with 1/2 teaspoon of salt until smooth (or mince with a knife). Add the dried spices, 1 teaspoon oil to moisten the mixture, and 2 tablespoons of the cilantro and the parsley. Continue to pound to a rough paste. Heat the remaining oil in a large skillet over medium-high heat. Add the onion, pepper, thyme. and dried chile. Cook for a few minutes, until the onion and pepper have softened considerably, then stir in the spice paste, chickpeas, and 1/2 cup of the bean broth (or water if using canned chickpeas). Cook for a few more minutes then add the tomatoes, greens, a pinch of salt, and another 1/2 cup broth/water. As the tomatoes cook, use a wooden spoon to help break them down. Reduce the heat to low and simmer for a few more minutes. At the end, add the remaining cilantro (and, if using, the preserved lemon), do one final stir then remove from the heat to serve. We ate this with a simple brown rice accompanied by one of my wife's tremendous beets and greens salad. A very nice flavor making for a very satisfying meal. I was graciously asked to contribute a post to a really cool blog Trio Of Tastebuds. The concept is that 3 different chefs each post their experience with a recipe based on a given theme. This week we were on a Pot Pie adventure. Check out the site and check out my post there. When we reach night 3 (second leftover night) of our typical whole roast chicken cycle, we alternate between Chicken Hash and this, a chicken salad using the leftover breast meat in a salad to be served on sandwiches. This recipe is based on one I found online a long time ago, I have no memory of where it was and I've updated it enough since then that it's effectively become my own. Our favorite breads to use for the sandwiches are Semi-Freddi's Dutch Crunch and Sourdough Panini with seeds. Prepare then combine the chicken, raisins, cranberries, celery, red onion, apple, and walnuts in a large bowl. Separately in a medium bowl, combine the mayonnaise. lemon juice, and the seasonings into a smooth dressing. Add the dressing to the bowl with the dry ingredients and mix well into a salad. Serve on bread or rolls, toasted or not, with optional mayo and/or mustard with cleaned and dried lettuce leaves. We loved watching Bal Arneson's Spice Goddess show on Cooking Channel every Saturday morning as we ate breakfast until the wise minds on the network decided Paula Deen would be a better fit for the time period. Since I personally suffer something resembling a seizure whenever I hear Deen's name or voice (something like Kramer did with Mary Hart) we've had to look elsewhere for media content at that time of the week. I really do miss Bal's show though. Here is a take on a dish Bal did that always intrigued me. As we needed a side dish for the Lamb with Spinach I made recently, this was an opportunity to check it out. Now tell me that doesn't look scrumptious! In a large bowl, combine the chickpea flour, garam masala, fennel, cardamom, paprika, salt, yogurt, and lemon juice, and mix well. The mixture should have a pancake batter consistency. If it seems too thick, add a little water to thin it out. Begin to heat the oil over medium-high heat and dip the eggplant slices in the batter and then place into the hot oil. Fry the eggplant until golden brown on the first side and then carefully turn the slices and fry on the other side until the eggplant is tender and golden on both sides, about 7 minutes total. If they start to get too brown, turn the heat down to medium. Serve the eggplant with the Green Pea Sauce. 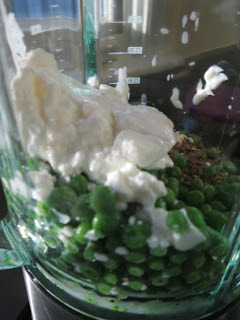 Put the peas, cumin, ground coriander, salt, black pepper, yogurt, and water in a blender and puree until smooth. It should be a thick saucy consistency. Add a little more water if it seems too thick. This is directly related to the just-previous chicken dinner post. For any chicken dinner I cook I purchase Mary's Air-Chilled Chicken, usually from the El Cerrito Natural Grocery just around the corner from my home. And every time I open the wrapping there is a small bag of gizzards that comes with the chicken including at least one liver (sometimes even a couple). Dude, this is poor man's foie gras! Pick up the liver and with reflection from the light you should notice a somewhat shiny reflection coming off of it. This is from the extremely thin membrane that covers the liver, and like with pork ribs, you want to remove as much of it as possible before cooking. I do this by using a paper towel to rub the membrane off, going around the liver to pull as much as possible. It's a little tricky the first time you do this but you'll get much better at it with a little practice if my personal experience is any guide. (this may be worth my making a video as demonstration) Season the liver well with the salt and pepper. Heat an iron skillet over high heat then add the butter with the oil to melt. Once the foam from the butter has dissipated add the liver to cook undisturbed on one side for one minute. Flip the liver over to cook for one minute more then immediately remove from the pan. The idea behind this is to sear the outside in the oil and butter very quickly without overcooking the inside, leaving it pink as in the photo. Very tasty. I've been using this recipe for years as it never fails to yield a great main dish for dinner for very little effort and only a little bit of time mostly in unattended cooking. It's based on a recipe I got from Marcella Hazan's Essentials of Italian Cooking that I've made my own over time. It doesn't need basting at all and a fresh organic chicken will assure that, other than the lemon to keep the roast moist and some seasoning with salt and pepper, there need be no other flavoring or enhancement to result in an amazing dish. I can't stress enough that the quality of the chicken used for this recipe is critical to its overall success. If you use a factory-farmed poultry for this, or for any chicken recipe, you'll probably have to add a fair amount of enhancement and preparation time and effort to get anything close to as good as this will yield just with the very simple elements of chicken, lemon and seasonings. The extra cost for an organic chicken will more than pay for itself in quality of taste, nutrition and, as recent reports are indicating, healthiness. Wash and dry the chicken thoroughly and remove any lose fat from the inside. Combine fresh cracked pepper and salt into about a 1/4 cup overall and spread liberally inside the chicken and outside on the skin. (I pound the seasonings together in a mortar.) Perforate the lemons several times with the tines of a fork and put into the chicken cavity. Use 2 or 3 sturdy toothpicks to close up the cavity and tie the ends of the legs together with butcher twine. Place the chicken back-side up on a rack in a roasting pan then put into the preheated oven to cook for 30 minutes. Remove the pan from the oven to flip the chicken to breast-side up for the remaining cooking time increasing the heat up to 400F. Cook until the internal temperature is about 175F. 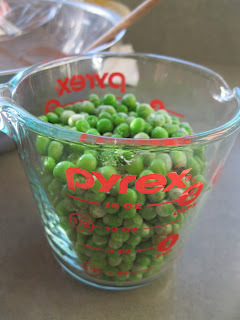 I find it takes about 18-20 min a pound to cook to the desired temperature. Remove the roast from the oven, place onto a cutting board or platter and cover with foil and allow to rest for about 15 minutes. You can meanwhile use the pan's remaining juices from the roast to make a quick gravy if you like. I generally put the pan over two burners, adding some white wine, bringing it up to a boil and then using a wooden spoon to scrape the hardened drippings to incorporate into a sauce that I allow to cook to reduce to the consistency I like. If you have time to allow it to cool a little, spoon off any floating fat before using. I've used this recipe in classes as an easy-to-prepare no-fail chicken dinner and people are amazed how good a meal this simple recipe will produce. Again the secret is getting a really good chicken to start with!